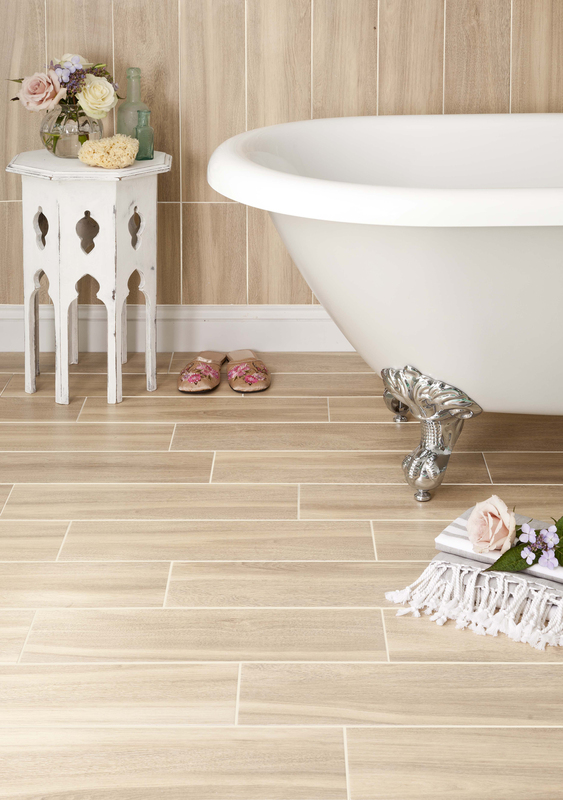 Porcelain tiles are the best option for bathroom flooring as it is waterproof, stylish, and cost-effective. Porcelain tiles have a rich, textured, solid feeling and like vinyl flooring it is waterproof and relatively inexpensive as well as being good to look at. 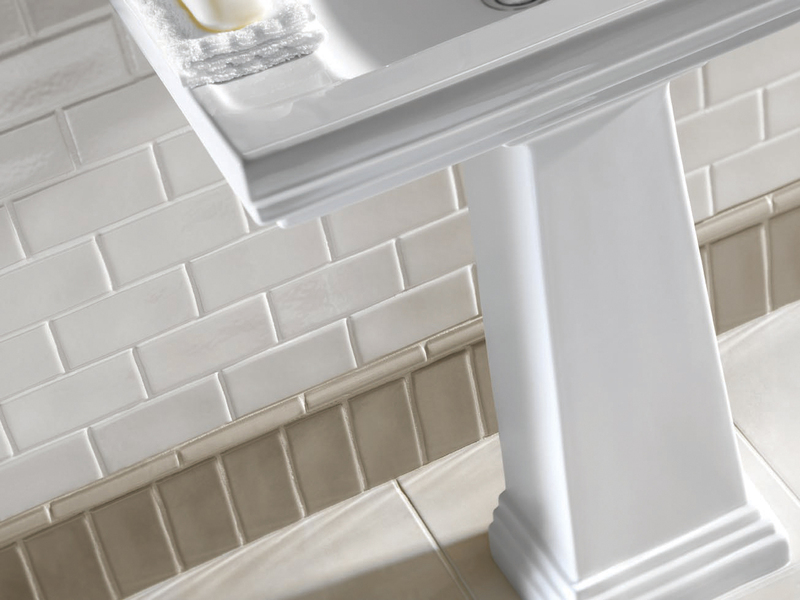 Porcelain is part of the ceramic tile family with one slight difference: the water absorption rate. The Porcelain Tile Certification Agency certifies which tiles types qualify as “Porcelain” and this states that they have must have a water absorption rate of 0.5% or less. There are so many different types of ceramic tiles and you can create the exact floor you want. You will find ceramic tiles that look like wood or stone and there is a vast variety of size and shapes, from square and rectangular to octagonal and hexagonal. Smaller mosaic tiles are pre-mounted on plastic mesh sheets, so you do not have to individually set each tile and if you wish to be even more creative you can use tinted grout. A great advantage is that they clean up well and will resist standing pools of water. Like stone, tiles are cold however you can opt for underfloor heating also. Wet tile is slippery. But texturing solves that problem. Smaller tiles are less slippery because more grout is used and the grout acts as a non-skid surface. With good looks and excellent practicality vinyl has been a popular choice for bathroom flooring for decades. Vinyl flooring is your best option if extreme amounts of water are expected, such as in family bathrooms (with young children) children’s bathrooms or laundry rooms. Because it comes in large sizes, sheet vinyl may be seamless in a small bathroom. Most vinyl flooring can be a very much a do-it-yourself job and with thousands of style options available it is still popular. Vinyl flooring is only as good as its seams and a poorly laid floor will give a detrimental look to the overall completed bathroom project. Sheet vinyl is generally a difficult task for the DIY enthusiast to install. Natural stone is a good choice for the bathroom however there may be a few moisture problems with marble, granite, limestone, and the other stone flooring options. Natural stone is hard, durable, and aesthetically pleasing. Stone flooring can be cold and slippery. 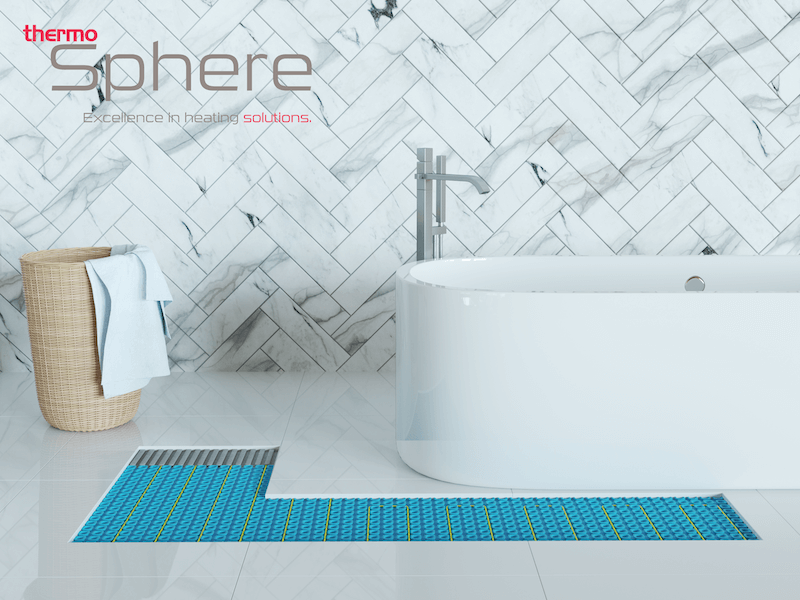 Coldness can be solved by installing radiant heating. The slip factor can be mitigated by having the stone textured with sandblasting or by purchasing naturally textured stone, such as slate. One issue that tends to pull down bathroom flooring option down is high cost. Real stone flooring is by far your most expensive flooring option. Laminate flooring is a better bathroom flooring choice than solid hardwood. Laminate flooring is no more than resin-impregnated paper atop a wood chip base. Laminate can work in bathrooms if you take precautions to protect the wood base from moisture. With the tight seams between the planks, it is difficult for moisture to work its way downward. Laminate is easy to clean however it still has a wood chip base therefore should it happen to have contact with moisture, it will expand and bubble, and the only way to fix it is to tear it out. Engineered wood is better than solid wood under high moisture conditions due to its dimensional stability. Engineered wood has a plywood base that holds up well against moisture and looks authentically like wood because the top layer is real wood. If you choice is natural wood in a bathroom then engineered wood would be your best choice. Any type of wood product no matter how well protected is prone to damage in bathrooms. 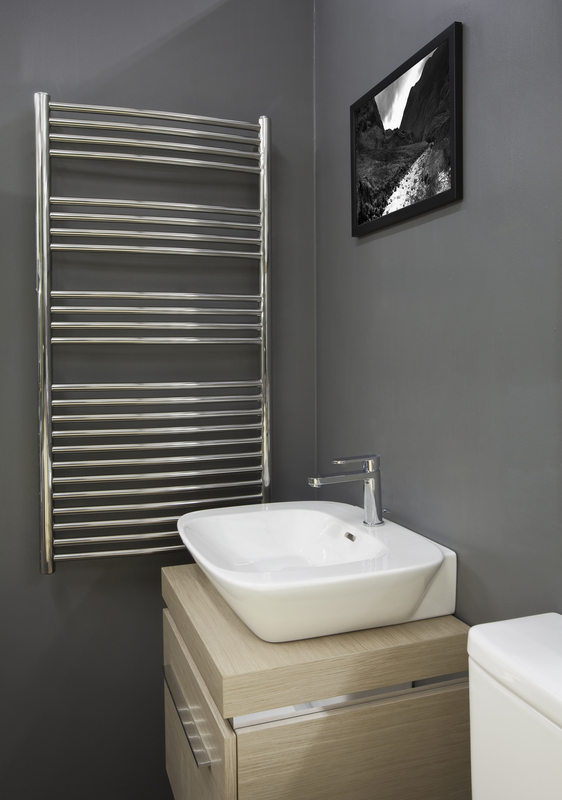 Heated Towel Rails / Radiators have become a standard item of modern bathroom suites. They are Ideal for providing a comfortable level of warmth throughout the bathroom and keeping towels deliciously warm and dry. It has never been easier to choose the right one for your bathroom or en-suite given the huge choice available. 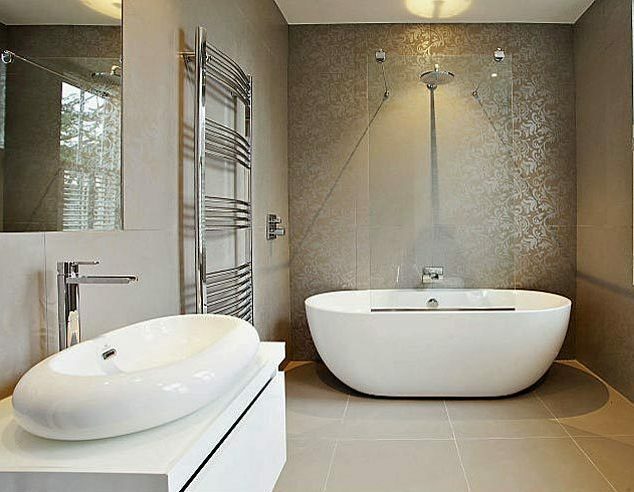 Most radiators are part of a whole bathroom refit therefore you will need to consider the look and impression you want to create within your new bathroom, not forgetting that the size of your heated radiator should reflect the size of your bathroom. You will also need to consider how many people use the bathroom and how many towels you will want to keep dry and warm. One other factor to consider is the reflectiveness of the finish – the more shiny the surface, the less heat it radiates. 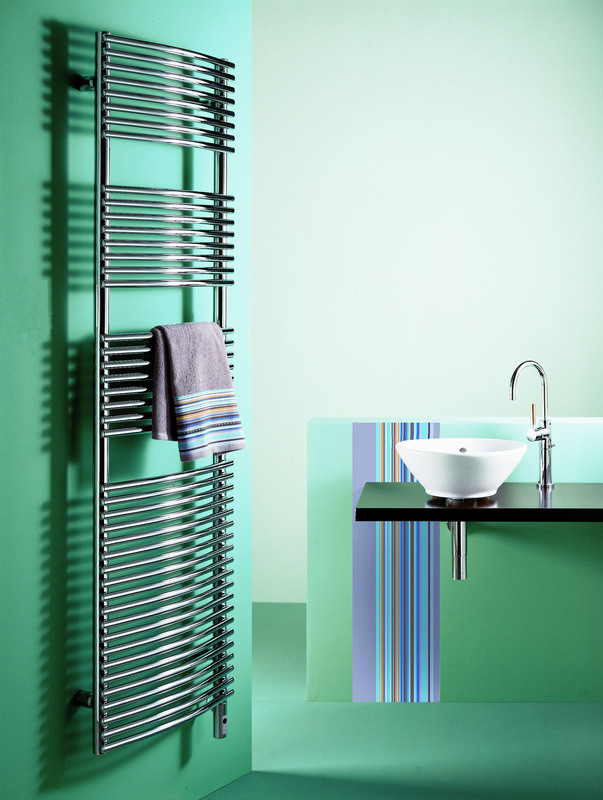 A chrome or polished stainless steel radiator has a smaller output when compared to the same model in a paint finish. The difference is typically around 20-25%. A chrome finish is however ideal for modern and minimalist suites and will fit perfectly with their chic style, plus it is incredibly hard wearing and will give you many years of service. For traditional bathrooms a towel rail with a heritage touch will add a touch of beauty as well as being practical. White finishes always look great in any style and are timeless, so you can be confident your heated towel rail will stay looking good in the future. For something a little different there are many customers who are breaking from traditional white or chrome towel rails and choosing coloured towel rails, which look beautiful and are available in many designer-colours. The name is self-explanatory and it does what it states on the tin “Underfloor Heating”. 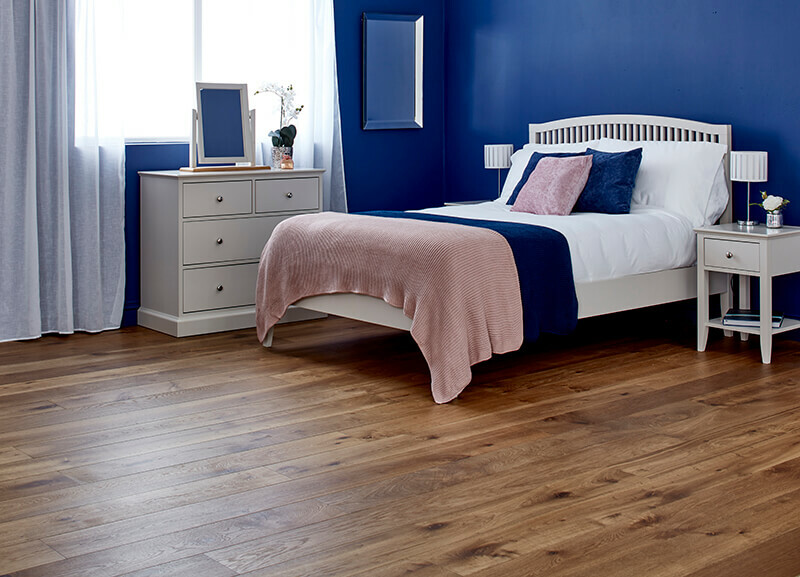 It can be used under many floors both wooden and concrete but their a few floorings where it is not suitable which are “regular” vinyl flooring & carpets. Below I have listed a few pros and cons to help you decide. Underfloor heating is a modern and high-spec feature which will allow you to enjoy the luxury of warm floors. It can be an efficient way of heating a room. Depending on the size of the system you may feel that you no longer need a radiator/s in this room. It is a flexible heating option that can be fitted in a new room or an existing room. It can be used in Wet Rooms as well as Bathrooms & Kitchens. Underfloor heating can take longer to heat up than radiators. With smaller systems you may find that they won’t be able to totally supplement radiators. 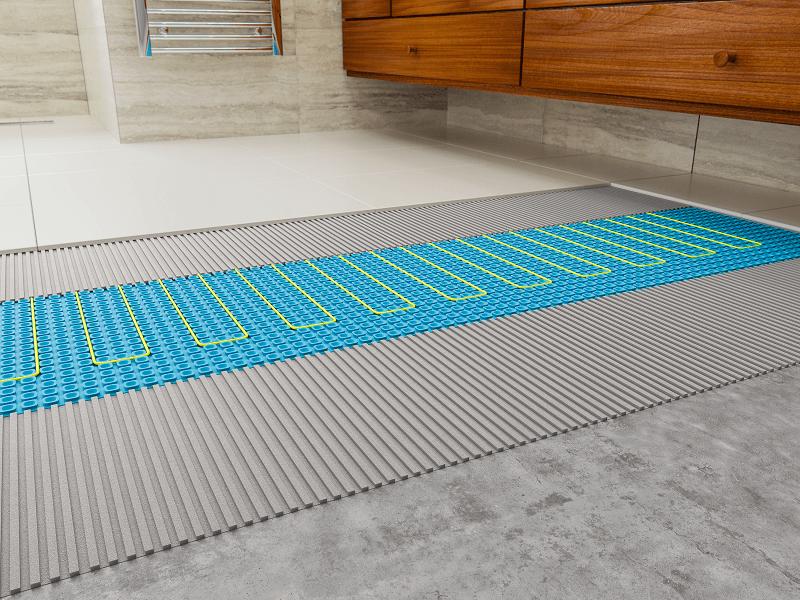 An underfloor heating system can be pricey to install (especially when it if retrofitted) maintain and run, particularly if it’s supplementary to your main heating system. For example a well-insulated 2M2 system would cost approx. 7-8 pence per day depending on your tariff and heating schedule. The right tiles can make all the difference in a bathroom and help you achieve the look you desire from a traditional look to a more contemporary and daring design. They still remain a top choice because they are practical, versatile and come in many sizes, shapes, colours and designs. Choosing the right size tile matters especially in a small bathroom where an oversized tile can end up making the bathroom look smaller plus you could end with a lot of uneven sized tiles where they have to be cut to fit a space. 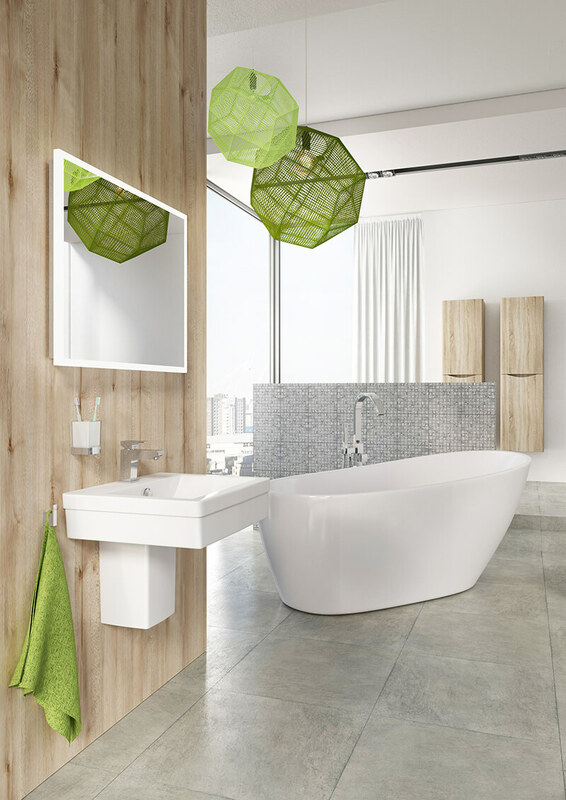 Non-porcelain ceramic tiles are designed for light to moderate use, and your bathroom is likely to fit that category. Red or white clay are the most widely used materials, though the final colour and appearance of ceramic tiles is dependent on the production process. You can expect to find a wide variety of sizes and colours available, though the price will vary accordingly. These tiles are an excellent choice for bathrooms because they are hard, moisture resistant and relatively easily to maintain. They are often compared to marble tiles as they are similar, however porcelain tiles are far less likely to stain than marble. 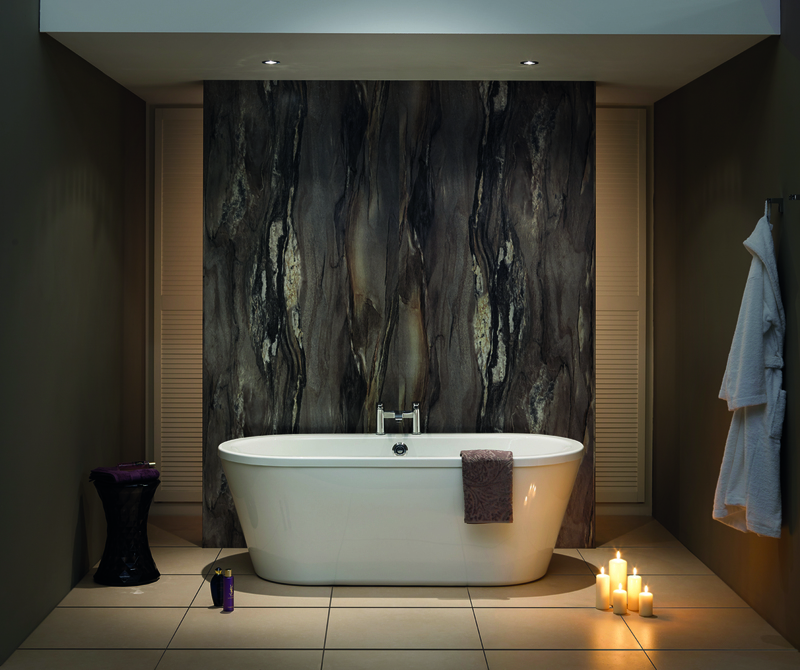 Porcelain tiles are a viable choice for deluxe, elegant bathrooms and will bring a touch of class to your bathroom. Unlike ceramic tiles, stone tiles are not created they are quarried and include marble, slate, travertine and limestone. Marble tiles are one of the most common choices and the stone is cut and polished to create a smooth edge. Stone tiles are cut and polished to set sizes, though they do range between moisture-sensitive and moisture-resistant, depending on the type of stone used. 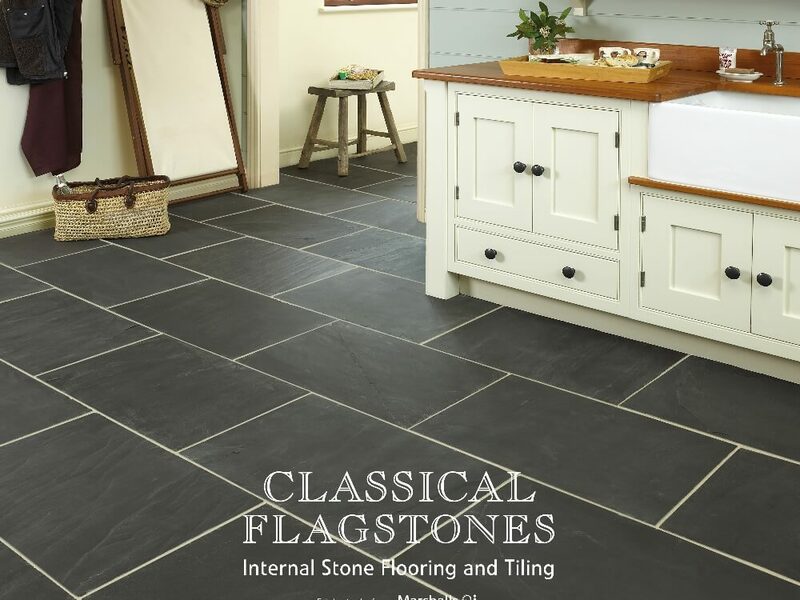 All stone tiles reflect a timeless beauty and elegance however they do require more maintenance compared to ceramic or porcelain tiles. High quality ceramics and stone tiles are tough and long lasting and will look great for years to come. 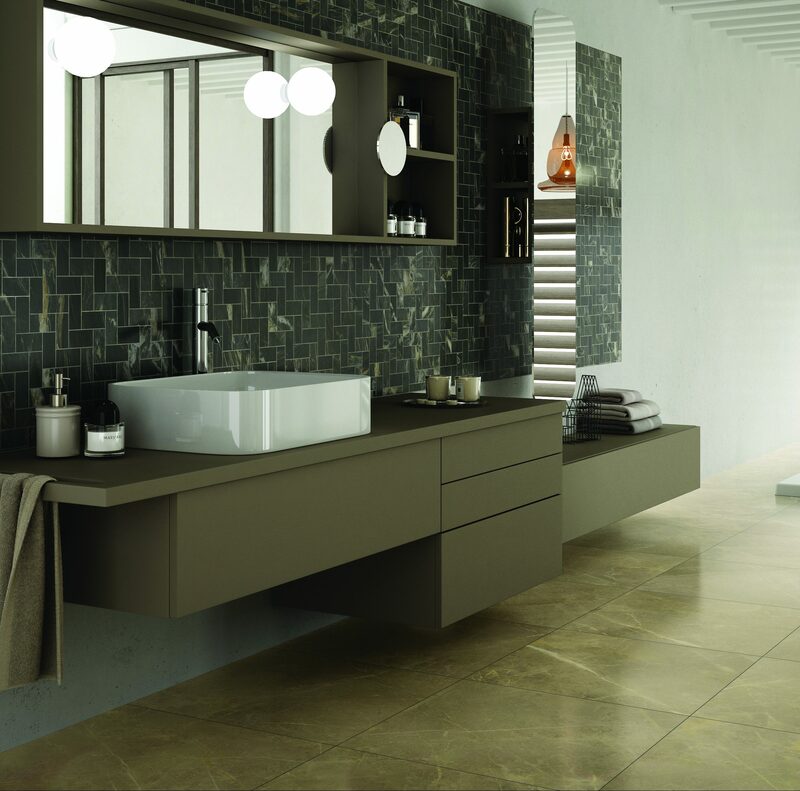 Porcel Thin tiles are less than half the weight and thickness of conventional porcelain tiles and larger. Because they are larger tiles this means faster coverage and fewer grout lines. Nuance is our award winning bathroom wall panel system, created for showers, wet rooms and around the bath. 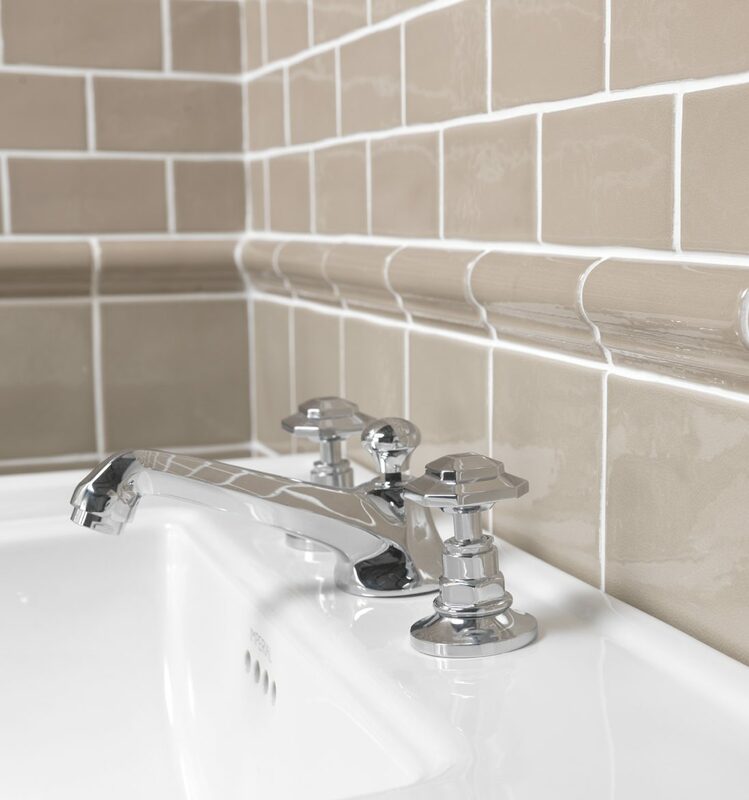 The designs are not just beautiful to look at but uncompromisingly high performance and easy maintenance with one constant surface and no grout to try and clean. It is uniquely fitted without extrusions and 100% waterproof guaranteed. 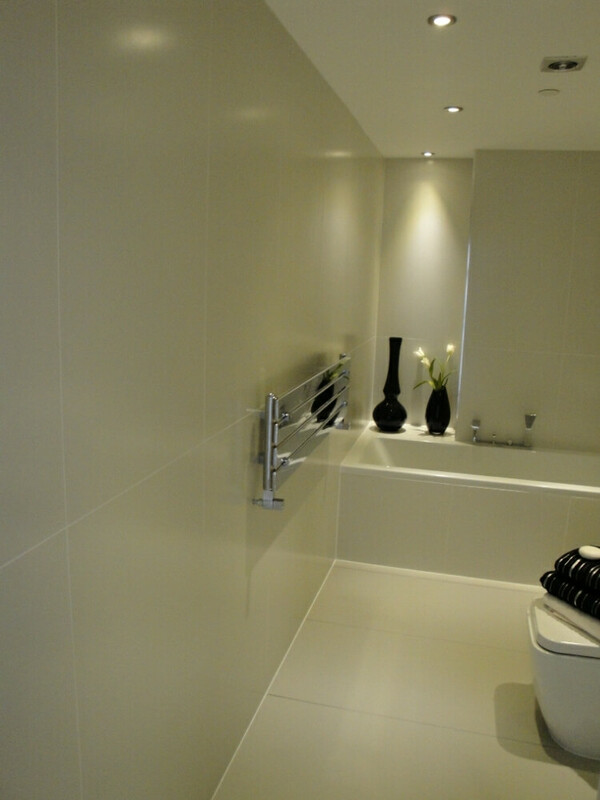 They can be installed in showers enclosures or around the bath plus full bathrooms and en-suite walls.